Phytosterols, also known as plant sterols or stanol esters, are naturally occurring compounds found in plants that are similar in structure to cholesterol found in humans. When consumed in the foods you eat, they compete with cholesterol for absorption in the intestine. This can potentially lower the cholesterol levels in your blood, most especially the "bad" low-density lipoprotein (LDL) cholesterol that can clog your arteries. Phytosterols are found most predominately in fruits, vegetables, vegetable oils, whole grains, soybeans, mushrooms, lentils, and nuts. Some commercially prepared foods—such as juices, yogurt, breakfast bars, salad dressings, and margarine—are fortified with phytosterols during the manufacturing process. Phytosterol supplements are also widely available in many health foods stores, grocery stores, and retail pharmacies. When taken as a supplement, phytosterols may help lower your LDL and total cholesterol levels. Other popular health claims (including how phytosterols can prevent colorectal cancer or help you lose weight) are unsupported by research. The current body of research has consistently shown that eating 2 grams of phytosterols per day can reduce your LDL cholesterol by anywhere from 8 to 10 percent. Although many people can meet these goals by increasing their intake of phytosterol-rich foods, there are some who may benefit from a daily supplement. These include people with poorly controlled high cholesterol (hypercholesterolemia) and those with an inherited genetic disorder known as familial hypercholesterolemia. A typical western diet contains approximately 300 milligrams (mg) of plant sterols, while a vegetarian diet contains between 300 and 500 mg per day. This amount is considered small to achieve the desired reduction in LDL in people with hypercholesterolemia. To meet this goal, you would either need to consume phytosterol-enriched foods or take a daily supplement. 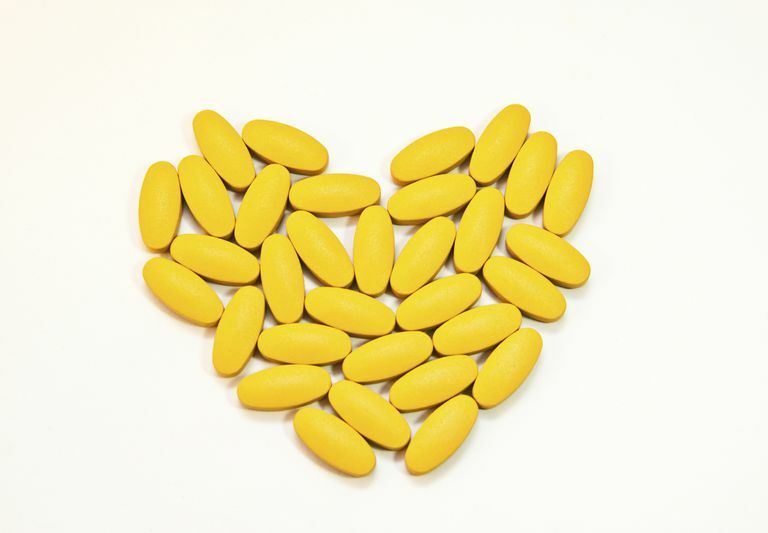 A 2017 review of studies from Brazil reported that a daily 2-gram phytosterol supplement reduced LDL levels in people with hypercholesterolemia by 2.7 percent and in people with genetically induced hypercholesterolemia by 4.3 to 9.2 percent. With that being said, the evidence remains split as to whether phytosterol supplementation actually translates to a reduction in the risk of cardiovascular disease (CVD). A 2012 review of studies from Germany, which evaluated 17 clinical trials from 1950 to 2010, could not find any association between phytosterol concentrations in the blood and the risk of CVD. As contradictory as this may seem, it is possible that phytosterol blood levels only serve as markers for cholesterol absorption. It remains unclear what impact phytosterols have on the cardiovascular system, most especially with regards to the prevention of atherosclerosis (hardening of the arteries). Although a 2013 study from Finland reported that a daily 3-gram intake of phytosterols reduced arterial stiffness, especially in men, a 2015 study from Germany showed no discernable difference in adults following the same dietary regimen. Despite the contradictory findings, most health experts agree that the reduction of LDL is beneficial no matter what the implication regarding CVD risk. What the research does definitively show is that phytosterol supplements work best when used as part of a rational treatment plan, which includes diet, exercise, and traditional cholesterol-lowering drugs. The current evidence suggests that phytosterol supplements are relatively safe and well-tolerated. Side effects, if any, tend to be mild and may include constipation, nausea, upset stomach, heartburn, flatulence, and the discoloration of stools. Many of these symptoms will resolve on their own once your body adapts to the supplement. Higher phytosterol doses are associated with an increased risk of side effects. Lowering the dose will usually resolve adverse symptoms. While phytosterol supplements are presumed to be safe over the long term, this has yet to be confirmed by research. Phytosterol supplements should not be given to people with a rare genetic disorder called phytosterolemia (also known as sitosterolemia). The inherited disease, which causes the excessive build-up of fat in blood and tissues, can be made worse by the consumption of phytosterols. Unless there is a confirmed diagnosis of familial hypercholesterolemia, phytosterol supplements should not be used in children. Even then, speak with your doctor before starting treatment. The supplement is also not advised in pregnant or breastfeeding women due to the lack of safety research. Phytosterol supplements may reduce the effectiveness of the cholesterol-lowering drug, Questran (cholestyramine). To avoid an interaction, take the supplement several hours before or after your Questran dose. Several studies have suggested that phytosterol supplements may reduce the absorption of beta-carotene, a precursor to vitamin A. You can usually circumvent this by taking a beta-carotene supplement or eating foods rich in beta-carotene (like root vegetables and greens). It is unknown what other drugs phytosterol may interact with. To be safe, always advise your doctor about any supplements or non-prescription drugs you are taking to avoid interactions and possible side effects. Phytosterol supplements are generally prescribed in doses between 2 and 3 mg daily. As a rule of thumb, it is best to ask your doctor to test your baseline cholesterol levels before starting treatment. After four to six months, have your bloods retested to ascertain the impact of treatment. Phytosterol supplements are available online and over the counter in capsule, tablet, and gel cap forms. They should be taken before your main meal of the day or divided into smaller doses before each meal. It is important to never self-treat a medical condition without input from a qualified health professional. Delaying or avoiding the standard care of treatment can have serious consequences. When purchasing a dietary supplement, always choose brands that have been tested by an independent certifying body like the U.S. Pharmacopeia (USP), ConsumerLab, or NSF International. Dietary supplements are not required to undergo rigorous testing in the United States; independent certification provides you with better assurance of quality and safety. Phytosterols degrade when exposed to high temperatures or direct sunlight. To prevent this, store your supplements in their original light-resistant containers and keep them in a cool, dry room at temperatures between 59° and 86°F (15° to 30°C). Keep an eye on the use-by date, and dispose of any supplements that have expired. Which foods are highest in phytosterols? Food should always be your first source of micronutrients, and this includes phytosterol-containing foods. These same foods tend to be high in fiber and antioxidants that protect the heart and keep your blood fats in check. AbuMweis, S.; Marinangeli, C.; Frohlich, J. et al. Implementing phytosterols into medical practice as a cholesterol-lowering strategy: overview of efficacy, effectiveness and safety. Can J Cardiol. 2014; 30:1225-32. DOI: 10.1016/j.cjca.2014.04.022. Cabra, C. and Torres Klein, M. Phytosterols in the Treatment of Hypercholesterolemia and Prevention of Cardiovascular Diseases. Arq Bras Cardiol. 2017 Nov;109(5):475-82. DOI: 10.5935/abc.20170158. Genser, B.; Silbernagel, G.; De Backer, G. et al. Plant sterols and cardiovascular disease: a systematic review and meta-analysis. Eur Heart J. 2012 Feb;33(4):444-51. DOI: 10.1093/eurheartj/ehr441. Gylling, H.; Halonen, J.; Lindholm, H. et al. The effects of plant stanol ester consumption on arterial stiffness and endothelial function in adults: a randomised controlled clinical trial. BMC Cardiovasc Disord. 2013 Jul 10;13:50. DOI: 10.1186/1471-2261-13-50. Ras, R.; Fuchs, D.; Koppenol, W. The effect of a low-fat spread with added plant sterols on vascular function markers: results of the Investigating Vascular Function Effects of Plant Sterols (INVEST) study. Am J Clin Nutr. 2015 Apr;101(4):733-41. DOI: 10.3945/ajcn.114.102053.